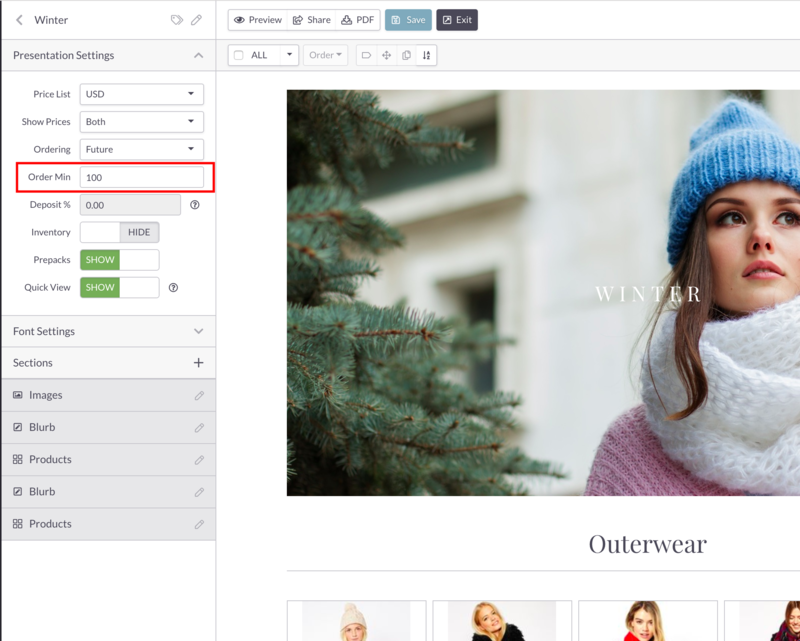 While building or editing a Product, enter a number in the "Minimum" attribute field to specify a minimum QTY that must be reached for the Product to be ordered. 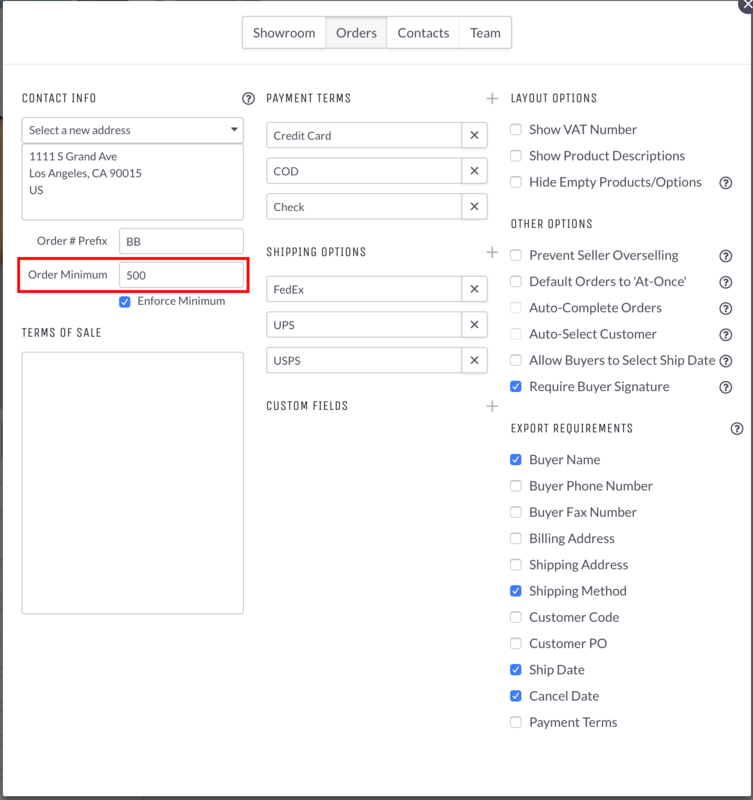 To set the default Order Minimum amount for the entire showroom, open the Order Settings under Showroom Settings and enter the (monetary value) amount in the "Order Minimum" field (e.g. $500, enter "500"). You can further specify Minimums for individual Presentations within a Presentation's Settings. The value in this field will override the default Order Minimum set in Showroom Settings.